These are all the notes of Sem V. I've put an elastic band around the notes. Here are the mini notes. I've used index cards to write quick points of IRJ subject. This set of notes also has question papers of prelim, internals, and finals. I used this book for writing self-notes. Yet another set of notes. These were the printed notes mailed by sir. I've used my cute binder clip to bind all the printed notes. These were some of the books from last to last semester I used to write semester V notes in. 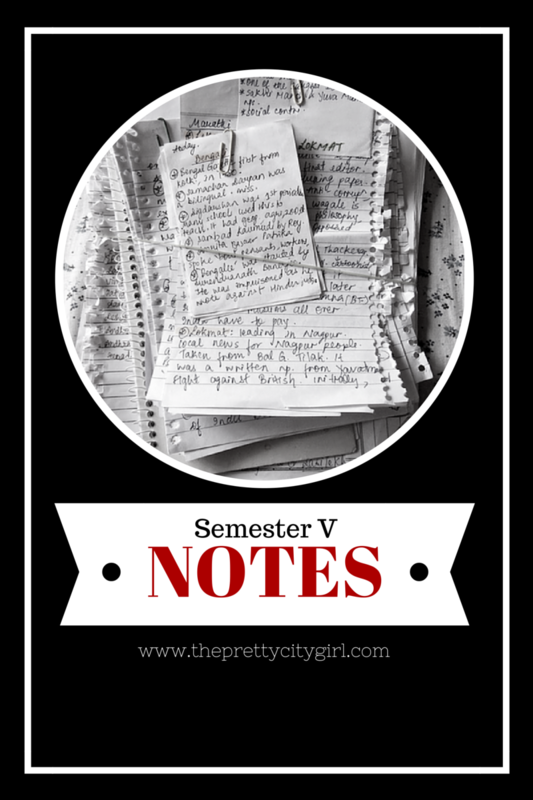 In my set of notes, I've also kept assignments and write-ups that were written in the whole semester. These are another subject's notes. There are question banks in this set too. And finally, I've kept all the notes in a plastic bag and written SEM V on it. How does your set of notes look like?